This is a great battery-backed real time clock (RTC) that allows your microcontroller project to keep track of time even if it is reprogrammed, or if the power is lost. Perfect for datalogging, clock-building, time stamping, timers and alarms, etc. The DS1307 is the most popular RTC - but it requires 5V power to work. 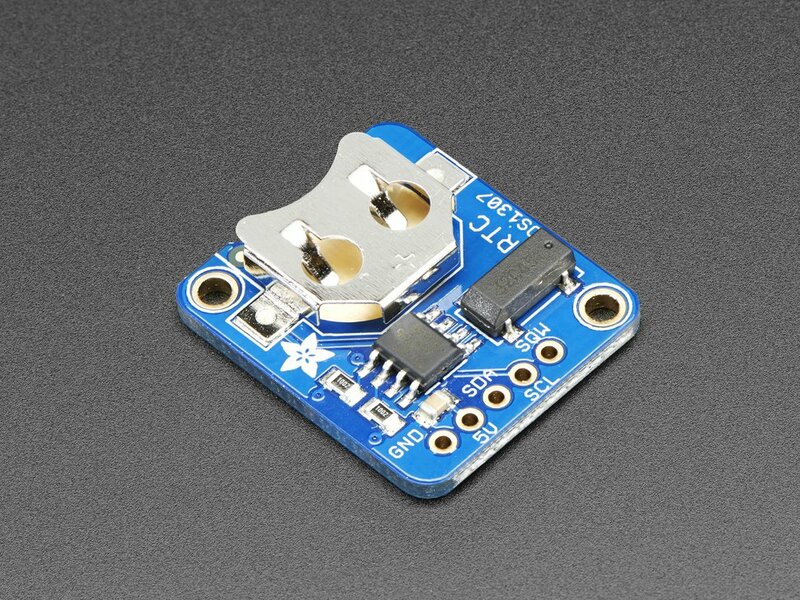 The DS1307 is simple and inexpensive but not a high precision device. It may lose or gain up to two seconds a day. For a high-precision, temperature compensated alternative, please check out the DS3231 precision RTC. If you do not need a DS1307, or you need a 3.3V-power/logic capable RTC please check out our affordable PCF8523 RTC breakout. circuitpython-build-bundles --filename_prefix adafruit-circuitpython-ds1307 --library_location . © Copyright 2016, Philip Moyer and Adafruit Industries Revision 55b18192.